As the businesses move from one stage to the next in their quest for growth, the technology also sees itself evolving in a manner that can keep pace with the changing environment. ERP (Enterprise Resource Planning) applications have also undergone a sea change since the time they first appeared on the horizon. Today’s applications are more feature rich, have better functionalities to deal with business challenges. But ERP, as a software application, still remains the core to any organisation. How does a CIO view the changing business landscape and his expectations from an ERP application? 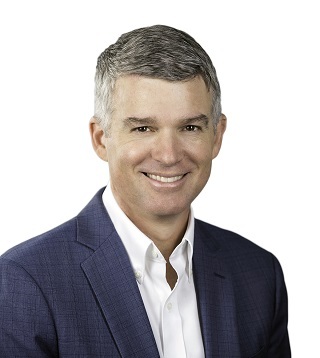 Rahul Neel Mani of DynamicCIO.com spoke to Rich Murr, Chief Information Officer, Epicor Software on a variety of issues including the evolution of ERP, the cloud-based SaaS products and more. 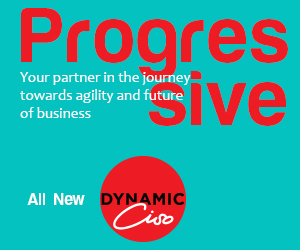 DynamicCIO (DC): As a CIO of a ERP software company, what’s your initial expectation from a core business application to address the business challenges? Rich Murr (RM): Interesting question! We, as Epicor, are no exception to the modern-day digital transformation that other industries are going through except that we are an ERP software maker. Naturally, we use Epicor E10 ERP for our internal operations. As a CIO, what I expect from this product is to add more features and functionalities that cater to the demands of business, which is out there to achieve a hyper-scale growth. Having said that, larger organisations like us, tend to leverage more than one core application (ERP) to support multitude of functions. It’s any CIO’s dream to deal with less complexity and therefore, I would expect the Epicor ERP to grow in a way where it offers every possible feature that helps in performing critical business functions. And fortunately, we are on course to achieve it. The evolution of Epicor ERP, in the niche segments it serves, has been remarkable. Do you really think organisations, rather than depending on a single instance of ERP from a single provider, will continue to have multiple ERPs? RM: It will largely depend on what type of company you are, and what type of business complexities you deal with. In many cases the best-of-breed applications, performing distinct functions for businesses, work better as they produce the optimum results that business requires. The key for any business is to find rock-solid applications that solve specific business functions like production planning, finance, sales, marketing, human resources etc. In the end, integration will be the ultimate key, which will be aimed at providing a single view of the data coming from various applications and business tools to draw actionable insights and take informed business decisions. Epicor has announced a strategic partnership with Jitterbit (an API Transformation Platform provider) to extend the integration functionality to our customers similar to what we do internally. DC: Lack of integration between disparate systems create huge bottlenecks for both IT and business. That’s perhaps one reason why users want to switch to one, feature-rich ERP application than having multiple best-of-breed instances from different providers. Do you still think best-of-breed has a future? RM: According to me it is a long-term horizon. If you look at Salesforce.com today compared to what it was 10 years ago, you will realize the product has matured into an integrated ERP-type solution as compared to what it was when it began as a point solution for sales and services. Similarly, ERP providers are heavily focused on enriching their platforms by bringing in maximum functionalities so that customers don’t have to deal with multiple applications. Having said that, the data challenge still exists whether it is a bunch of best-of-breed solutions or a monolithic solution. It is important for the CIOs and IT leaders to not lose sight of the data component. Technology, without doubt, will keep evolving over time but in both cases, as mentioned above, the data challenge will still blow the IT organisations. The CIO’s role is to focus on the quality of data that is churning out of these systems/applications and deploy the right integration tools to help business get a good view of different data sets. Most of the ERP vendors are spending huge amount of money in R&D and product innovation. The aim is to produce a high-performance application with capabilities such as accurate analytics, state-of-the-art UI (user interface), built-in features like AI/ML. What, in your opinion, will be the end product coming out of these innovations? RM: Any core application goes through (or should go through) a path of evolution. From the time when we used a monolithic ERP, it has come a long way. There are a set of features added to it all along. Functions like supply chain, CRM, HRM, marketing all got added as part of product evolution and innovation. The introduction of artificial intelligence and machine learning is also a part of product development lifecycle. However, it is more complex than just adding a set of features. Now the application is hosted in the cloud environment crunching tremendous number of datasets than it ever did in the past with complex algorithms. Going into cloud will help companies like Epicor to introduce those features and functionalities faster. DC: On one had ERP vendors are going gaga over cloud or SaaS-based ERP and on the other there is a huge number of legacy organisations still not ready to take their core application to the cloud. Do you think companies will come to a consensus that their data will be secured and they will have a scalable solution in a cloud-based ERP? RM: While I can’t predict a perfect timeframe but it is inevitable that customers would be served through a cloud platform. Epicor, as a company, is focused on supporting its customers wherever they are in their technology decision cycle. We have a really rich set of on-premise applications that the customers are happy with. On the other hand, we are also preparing for the future with our cloud-based model and the partnership with Microsoft Azure is a great example of that with the same set of rich features and functionalities. Customers need time to understand and get their minds around the security implications, and control implications. There will be a natural inflection point at the time of end of product lifecycle or at the time of renewal. That’s the time we discuss with them and decide whether they want to continue on-premise or move to the cloud. Clearly, our position is to be ready to serve the customers with the cloud-based application when they are ready to adopt it. Epicor is committed to offer an excellent on-premise solution and continue to extend the same excellence to the cloud-based solution. DC: What advantages can a cloud-based ERP offer to a mid-sized company that they can’t get from an on-premise solution? RM: It’s pretty simple. No company today wants to invest heavily in resources, which do nothing but manage IT infrastructure. Most IT leaders are open to the idea of not being a “lights-on” shop. Over time, the companies will realize this and will understand the value of a ready-to-use application in the cloud. For example, it will be easier to offer machine learning in the cloud than on premise. It will be easier to offer global scalability in the cloud as compared to on premise. With our partnership with Microsoft Azure, we are going to leverage a lot of these features for our customers. So, at some point, cloud solution will have a richer set of features than on premise. DC: Many a times implementation of ERP goes horribly wrong and as a result the data quality is substandard. What do you propose to CIOs in terms of ERP implementation to have the right data sets and derive the right intelligence of those data sets? RM: First and foremost, while choosing an ERP provider, make sure that you really have good requirements for a product. Secondly, before choosing a vendor is to do the due diligence upfront whether or not the solution will meet your needs. A good technology project always begins with the analysis of the business processes and not just technology. CIO should talk to the frontline business leaders and note down all their possible pain points and requirements and then take them to the technology vendor and match those up against the capability of the product/solution. That provides a perfect foundation for an appropriate product. Yes, implementation still remains challenging as it requires good leadership on both sides – technology provider and user. DC: Social ERP/Social Media integration to ERP is becoming a big norm now a day. Do you think this trend is going to get more vigorous and will benefit enterprises? RM: Absolutely! Our customers are asking for it now and it is on the product roadmap of Epicor. This is a dynamic space and as part of our solutions roadmap, social media integration will be a key to the ERP.